Natives who have Pitra Dosha in their Kundli are bound to suffer from all sorts of adversities, hurdles and problems in life due to the malefic effect of certain planets. Moreover, the beneficial planets in your Kundali do not give you any favorable results due to the dominant malefic planets in Pitra Dosha. Venus, Saturn and Rahu in 5th House - If two or all of these planets are placed in the fifth house, then the native might suffer from malefic effects of the Sun. Ketu in 4th House - The native will bear the malefic effects of the Moon. Moon in 3rd or 6th House - The native will bear the malefic effects of the planet Mercury. Mercury or Ketu in 1st or 8th House - If one or both of these planets are positioned in the first or eighth house in one’s horoscope, then the native will face negative effects of planet Mars. Venus, Mercury and Rahu in 2nd, 5th, 9th or 12th House - If two or all of these planets are placed in the second, fifth, ninth or twelfth house in one’s chart, then the planet Jupiter will have malefic effects. Sun, Moon and Mars in 10th or 11th House - If two or all of these planets are placed in the tenth or eleventh house in one’s birth chart, then the planet Saturn will give inauspicious results. Sun and Venus in 12th House - If one or both of these planets are positioned in the twelfth house in one’s horoscope, then the native will face effects of the malefic planet Rahu. Moon and Mars in 6th House - If one or both of these planets are positioned in the sixth house in one’s horoscope, then the native will face effects of the malefic planet Ketu. It is important to note here that Pitra Dosha can exist in one’s birth chart along with other Yoga or Dosha. 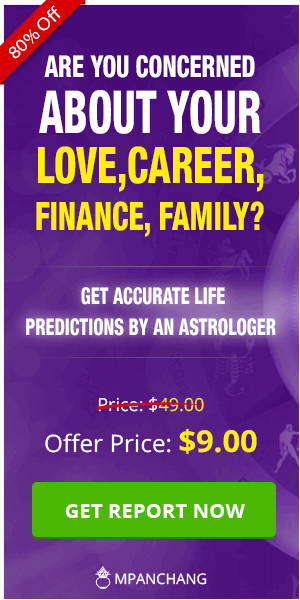 One who has Pitra Dosha in their horoscope might face troubles related to their children, domestic happiness, finances and health. The natives might see snakes in their dreams or even their ancestors. There are certain remedies that one must follow to reduce or nullify the effect of Pitra Dosha in their Kundali. Those natives who did not perform the Shradh on the death anniversaries of their forefathers can perform Trapandhi Shradh during the fifteen days of Ashvin month during Krishna Paksha. It is the Shradh time dedicated to serving our forefathers and ancestors. Trapandi Shradh is a way to please our ancestors and reduce the effect of Pitra Dosha. Pouring water to a Banyan tree is a way of making offerings to the ancestors or forefathers. Offer Water to Ancestors - Native should offer water to Pitras during the 15-day Shradh period. 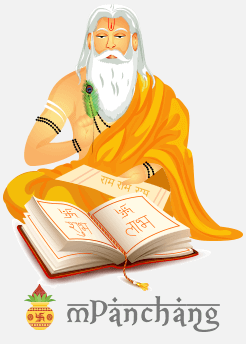 Shradh on Death Anniversary - Perform Shradh on their death anniversary, as well. Offer Food To Brahmins - On every Amavasya, native should offer food to Brahmins. Donate Food and Clothes - Donate food and clothes to the poor and needy. You can also offer food in temples or other religious places. Chant Pitra Dosha Nivaran Mantra - Chanting Pitra Dosha Nivarana Mantra can also alleviate the effects of Pitra Dosha. Pitra Dosha Nivaran Puja - Perform Pitra Dosha Nivaran Puja under the guidance of a Pandit. This puja should be done in accordance with the planetary position of the malefic planets. Offer food to animals - One should offer food to cows, crows, dogs or other street animals on Amavasya or during Shradh. Apart from general remedies, Pitra Dosha should also be nullified according to the planetary position in one’s horoscope chart. Feed crows and cows. In Hindu mythology, crows represent our forefathers. As per Pitra Dosha Remedies of Lal Kitab, the native should collect coconuts from each of their family members and flow it into running water on the very same day. Collect money from all of your family members to feed 100 dogs. Pitra Dosha due to malefic Sun or Moon occurs due to wrong deeds done to parents. The native should feed cow/ox to reduce the malefic effect of Sun as well as Moon. According to Pitra Dosha Remedies of Lal Kitab, the native should perform a Yajna after collecting money from all the siblings to alleviate the bad effects of the Sun. To nullify the inauspicious effects of the Moon, as per Lal Kitab, one should take equal amounts of silver, in the form of coin or biscuit, and offer them in flowing water. Pitra Dosha due to malefic Jupiter occurs due to wrong deeds done to Guru (teacher) or one’s husband. Donate some part of your money towards charity. Donate money to a temple or a religious institute. Look after a Peepal tree. If there is a temple around your ancestral property, then maintain it by taking care of its wear and tear. Pitra Dosha due to malefic Saturn occurs due to wrong deeds done to servants or poor people. Donate food to 100 poor and needy people. Feed 100 fishes in the same pond. Pitra Dosha due to malefic Venus occurs due to wrong deeds done to one’s wife or other women. Pitra Dosha due to malefic Mars occurs due to wrong deeds done to one’s servant. Take equal amount of money from all family members and donate it to a hospital or any doctor who works for the needy. Pitra Dosha due to malefic Mercury occurs due to wrong deeds done to one’s younger sister or any girl. Burn a yellow colored Cowrie and flow its ashes in running water on that very day. Pitra Dosha can have some really negative impact on the native. Therefore, it is necessary to follow these remedies to nullify its effect. 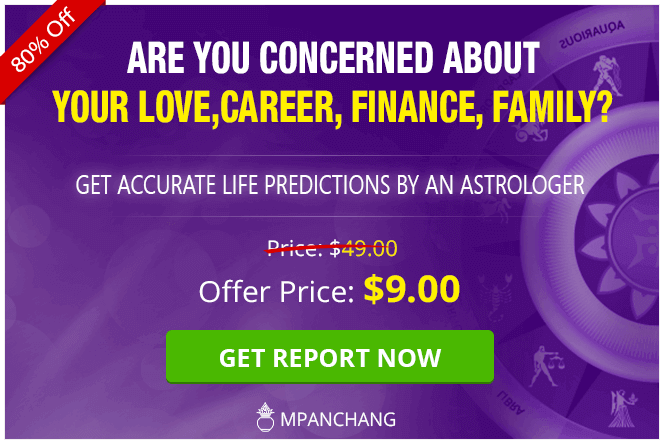 It is important that you Talk To Astrologer, before following any of the above-mentioned remedies to know about solutions that are specific to the Pitra Dosha present in your birth chart.